Auchentoshan is usually known as a light, gentle spirit, originating from the Lowlands which is also known for producing generally light, gentle spirits. Auchentoshan reinforces this reputation by triple-distilling its malt in the Irish style. By its very nature, triple-distilled malt whisky has fewer flavor compounds – by volume – than spirit distilled by the more usual double distillation. It also has less bad flavor compounds, so the style has its proponents. Throw all that out the window, though, if you’re looking at Three Wood. It turns out Auchentoshan, in its shyness, isn’t just a canvas for sherry influence, but instead totally disappears under the weight of the Pedro Ximenez and Oloroso casks (the third “wood” is ex-bourbon). What results from the process – apparently 10 years in ex-bourbon (which is longer than the cheaper Classic bottling), 1 year in Oloroso sherry, and then a final year in Pedro Ximenez sherry – is a sherry monster of undeniable weight and ferocity. Is it worth the extra $20 over its Classic sibling? If you like sherry more than you like Auchentoshan, then yes. Yes it is. Nose: A powerful blossom of sherry greets the nose. Nutty, with plenty of dried fruits (predominantly fig). Some nice acidity comes through – like cranberry, or red wine vinegar – and a bit of caramelized sugar. Overall, the impression is of a mid-aged heavily sherried malt where the sherry is doing all of the work. Palate: Viscous body, heavy with notes of balsamic reduction, fig paste, dark chocolate, and hazelnuts. Very appealing. Finish: On the short side. Tarry molasses and override plums. A little minty. While the fruit notes slide to the burnt side, like port reduction beginning to scorch in the pan, there are some nice concentrated dried fruit notes and a heavy nuttiness that continues to the end. No undue bitterness. With Water: A few drops of water might coax out a little more caramel and nut meats, but doesn’t appreciably improve the experience. I’d skip it. Overall: If this was once Auchentoshan, then the sherry monster murdered it and stuffed it in a closet. While Auchentoshan Classic is understated, vanilla, and crisp, this is resinous, sticky-sweet, and overripe. That’s not to say it’s bad. While the Auchentoshan rots slowly in its closet, the sherry monster throws a wild party – the kind that ends with garments hanging from chandeliers – and there’s some value in that raw, undiluted expression of sherry. Good sherry, too, the PX sherry really shines here. If you’re a fan of sherry in all its guises then you must grab a bottle, bypass the police tape, and witness the gory crime scene for yourself. I had been overlooking this whisky up until this review, thinking that the triple distillation might make it too vodka-like. I hadn’t considered that it would allow the sherry to get the most out of its relatively short time in the sherry casks. I might give this a try I run out of Glendronach 12. 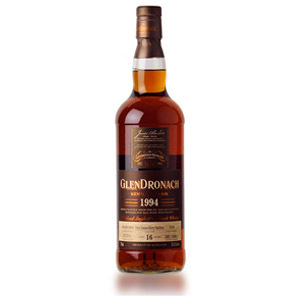 Speaking of Glendronach, how does this compare? Also, any thoughts on Auchentoshan’s 12 year old offering? @Craig, I haven’t had the 12 year-old, but I thought the 10 was only marginally better than the Classic. I also wasn’t hugely impressed by the 18 (which I thought should be better than it was). I think the Glendronach and the Three Wood share a “meaty” quality to the sherry, where everything isn’t just sugar and fruit. 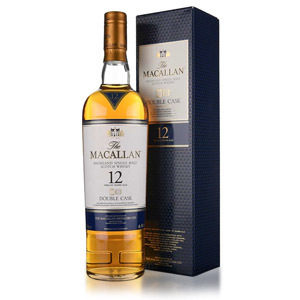 The GD 12 has more maltiness and nuttiness, but the Three Wood has more fruit and a more focused sherry character. They’re comparable in quality. I wholeheartedly agree with your review. This was my fifth bottle of scotch, and at the time I wasn’t sure what type of scotches I liked. I was quite impressed, and because of Triple Wood I didn’t give up on scotch! It would be very difficult for a new scotch drinker to not love the triple wood. I’ve compared Triple Wood to Aberlour a’bunadh, and between the two I’d go with the later, as A’Bunadh is cask strength. I stumbled across this one at a sushi bar in Hartford, CT the other day. Being a big fan of the Auch 12, I was excited to give it a try. It was unique, I’ll give it that, both on the nose and the finish (and in between)…but in a weird and plastic-y way. Sort of like NFL throwback uniforms. Fun and exciting for a moment, then you immediately realize why no one wears these things anymore. 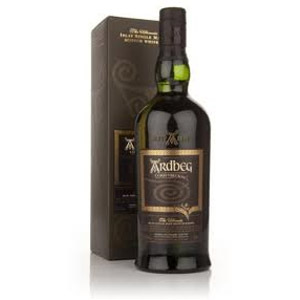 I’ve also observed huge ranges of pricing for this dram in the US, from $30’s to $70’s! I recommend pass on this mercenary dram. I tend to agree with DJ, I would have rated this one a solid “Try before Buy”. To me, the nose wasn’t plesant and I’m annoyed because I can’t quite place the flavor or the scent, but it’s almost an overripe…something. But I don’t know what. Eventually I got a hazelnut/chocolate note near the end but the nose and initial hit on the palate brought me this je ne sais quoi of a flavor that I decidedly didn’t care for. Oddly, I immediately jumped to a Canadian Whiskey called Glen Breton which is one of the very few I’ve had to pour down the sink. 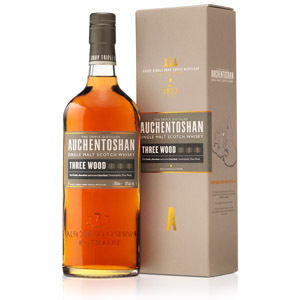 That flavor and smell, which is almost as if somebody put brown sugar and fruit in a tupperware and let it sit in a hot car for 5 hours is much more pronounced in the Glen Breton but it’s there in the Auchentoshen Three Wood. I didn’t pour this one out, but I can’t say as though this will be making a regular appearance on my shelf.